How to be always prepared for something new? Well, don’t invest in material values and capital. It could always be instantly lost. Invest in ideas. Invest in mindset. It is something you can carry with you every time you are in trouble. What is the nation with most startups in the world? The answer is unexpected if you don’t apply enough of analytical thinking. The answer is: Israel! Why? Because the Jews, for hundreds of years, like the Serbs, were subject to persecution. Very easily it could happen that one day you have a small shop, a jewelry store, a bakery, a bank, and the next day you are, all of a sudden, forced to remain exiled after the fire flared in your business. Antisemitism was rampant from the Crusades (at least) until 1945 (and even later, especially after the formation of Israel, in the Arabic countries). Therefore, the Jews had to learn, during the 2,000 years of exile from Palestine, their homeland, to govern skills and ideas. Thus, in their society it is always the same: the most respected person is the one who can make money, not the one who has money, contrary to the popularo opinion. Israel, the country with the population of roughly 8 million people and just about 20,000 km2 of territory really impresses people when it comes to creativity in business. We all know Jews have done great works in many areas, won staggering number of Nobel prizes, but basically what Israel is really like is well beyond anyone’s imagination. It’s called the Startup Nation, and there is a little doubt why. Jews, not only Israelis, broadly taken, are smart and well-educated, have only 0.2% of world population, but they have 54% of Chess champions, 27% of Nobel Laureates in physics, 31% of Nobel Laureates in medicine, 6 Nobel Prize in recent years: 4 in Chemistry and 2 in Economy. Israel Institute of Technology – Weizmann Institute of Science and Technion are placed in the top twenty academic institutions in the world. It has contributed to the fact that in Israel, a very young country, there are more scientists and engineers per capita than any other country. It is what made Israel a world centre of technology and startups. By comparison, that number is almost twice higher than in the United States and Japan. Annually in Israel citizens creates more than 200 new start-ups an in Israel there are astonishing 2500 startup companies currently operating. Israel is No. 2 in the world in absolute number of startups. For a country so small it is amazing. Of course, as expected, the U.S. is No.1. Try to find on the Internet the Israel Startup Map. You may check out there, in order to have a visual sense of the startups, incubators and R&D in Israel. Well, you will be quite amazed. Israel is No. 3 in the world in number of companies traded on NASDAQ after U.S. and Canada. Venture capital investment per capital in Israel is 2.5 times over the U.S. and 30 times than Europe. The absolute amount is the sum of Germany and France. Israel is the world leader in number of patents per capita, and it’s also No. 1 in R&D spending per capita. Technology is better, technology is the best! There are quite a few fascinating technology/products invented in Israel, including: mobile phone technology, top of the line Intel processors, USB flash drivers, ICQ instant messaging system, drip irrigation, firewall technology, ingestible pill video camera (PillCam), voice-over-IP, electric car network system (Better Place), community-based navigation (Waze) and iron dome. And one third of all new ‘game-changing’ medical technology are orginated in Israel such as Oridion, InSightec. There are whole areas in Tel Aviv and its surrounding, like Herzliya or Petah Tikva, “stuffed” with high-rise building “stuffed” with scientists. It is often called “Sillicon Wadi” (wadi is Arabic for valley, you rightfully guess). Haifa is the second example of such a cluster. The consequence of all the achievement above is that it has become a growing trend for establishing major R&D centres of multinational companies in Israel. Right now, the big players include IBM, Cisco, Microsoft, Google, SanDisk. Therefore, we have no surprise to see that Israel is the number export country in Intellectual Property (IP) which is the greatest value that Israeli bring to the global industry. Regarding the hot spots of Israeli innovation, well, there are some new thing that will happen soon! Communication, Digital printing, Internet & Media, Green technology, Waste management, Water technology, Solar energy, Nanotechnology, Biotechnology, Medical devices. It will be exciting. The company “Cisco Israel”, for example, is a leader in promoting the new “smart” ideas for cities of Israel. 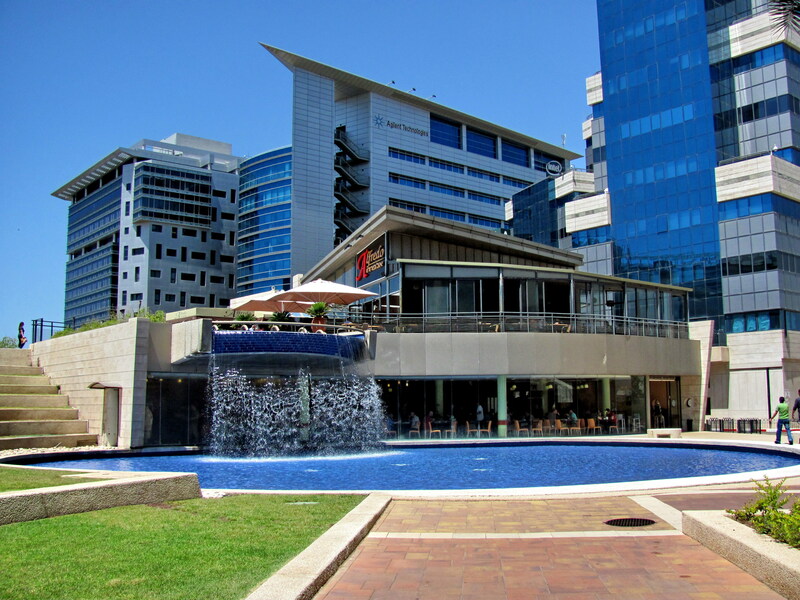 “Intelligent cities proportionately bring benefits to townspeople and improve connections within the settlement, bring together people, just like infrastructure.” – Said Roei Hermon, is one of the directors of Cisco Israel. Intelligent or smart cities will have the technologically advanced kiosks with touch screens, or instructions that can help you to find a free parking or free garage nearby. Cities will also be able to economically progress with some of the new technologies, such as intelligent traffic lights that illuminate only when necessary (sensor-activated) or by means of efficient algorithms for determining the available public parking. John Baekelmans, Cisco vice president, who lives in London, said that each city is different and will develop various technologies that will be able to solve every problem individually for each city and each unique specific need. Tel Aviv, however, would be a field in which will try some of the new technologies, such as intelligent gigantic kiosks that can, for starters, help many tourists find their way in the city and improve their experience. Israel is quite small and lacking of all sorts of resources, and it’s surrounded by the sea not too many friends. The only way to survive and become stronger is to innovate, say the officials. And they are quite right. And it is, as the final conclusion, a good example for Serbia. Israeli culture is similar to the Serbian one because the Serbian society developed during the wars, embargos, bombings, and it’s why it could be considered ideal for the development of entrepreneurship. The Israelis do not respect authority, think outside the box and, above all, do not have too many alternatives for the business but to create their own. Well, just like Serbs. So, that’s a case for Serbia. There is no better. And no one will come to invest in us just like that, for no reason at all, do not listen to politicians. Invest yourself in yourself, in your idea, and then it will appear interested, and the money will come. See two technological marvels that are not from the United States: Skype, from Estonia, and Viber. Where is Viber coming from? From Belarus and Israel. Case closed.